Time is important to Sarasota businesses in today’s extremely competitive environment. In other words, time is money for them. This is one of the main reasons why a large number of companies and organizations delay their commercial bathroom up-grades/repairs. They simply cannot afford to shut down their establishments for prolonged periods of time. However, with the correct safe, non-toxic and durable bathroom re-glazing, it is possible to have your bathtubs, sinks, and countertops updated in as little as one day. 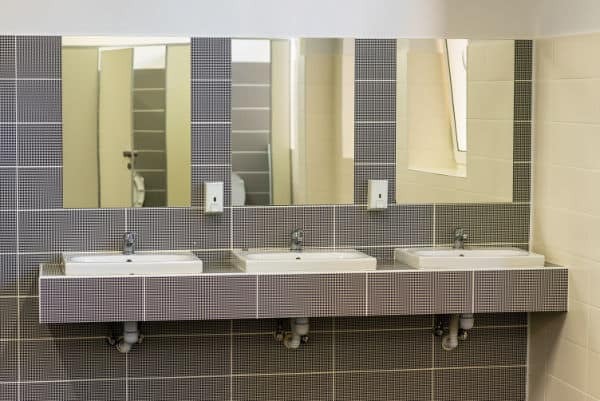 Just imagine if your hotel, rental, office or retail center could have the appearance of a brand new bathroom without the mess, inconvenience and huge expense of replacing everything. Renovating your bathrooms will never be more cost-effective and easier than having them coated with a durable and glossy porcelain coating that eliminates the need to replace your bathroom fixtures completely, thus helping you save a significant amount of money. One thing that businesses need to remember is that not all re-glazing contractors offer quality services and products. In fact, some of them try to cut corners to save their own costs resulting in poor quality work. Only hire a licensed and experienced re-glazing contractor with a good reputation and many positive reviews. Yes, a well-established contractor may charge a bit more than their rookie counterparts, but the price is justified by their skilled and efficient work. Before you hire a re-glazing contractor, ask for references. You have every right to see proof of past work and even perhaps speak with past clients. Stay away if he refuses to provide recent jobs and contact info. You should visit a couple of sites where he has worked. This way, you will get a good idea of the quality of the work as well as get useful feedback on his overall work ethic, conduct, and approach to the work. Most importantly, see if the contractor uses safe durable products. You don’t want to expose your staff or customers to hazardous fumes or toxic chemicals. Not all porcelain re-glazing products are the same and some will peel, blister and flake over time. Do it right the first time. Hire a pro like Total Koatings. They are an experienced company that uses only the best products developed by industry leader Kott Koatings, Inc.®. Previous Previous post: Easy Way to Keep Your Bathroom Looking Like New!